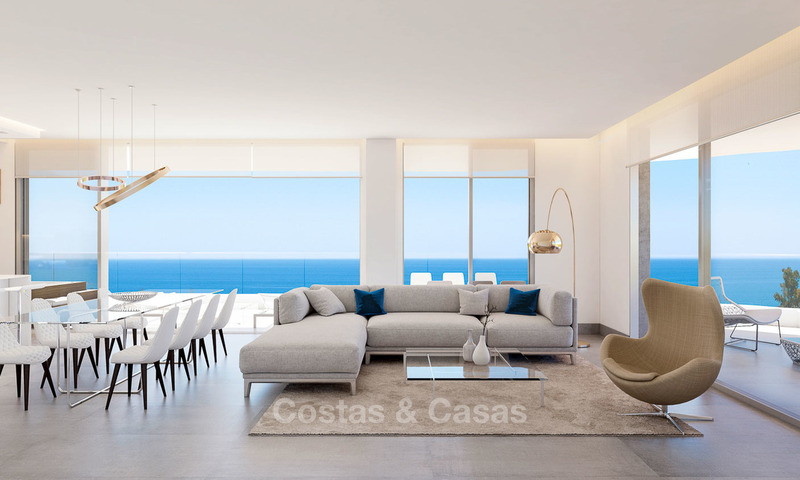 Here you will find a selection of beach properties (beachfront or beachside, being at walking distance to the beach) for sale in Marbella or any other place at the Costa del Sol. Top floor apartment with good size terrace. 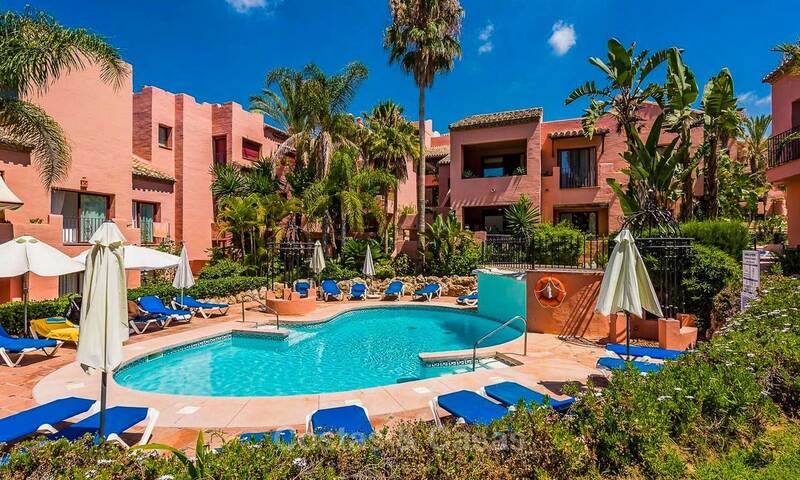 Walking distance to Puerto Banus and all amenities. South facing with sea views and enjoying privacy. Within walking distance to the beach. 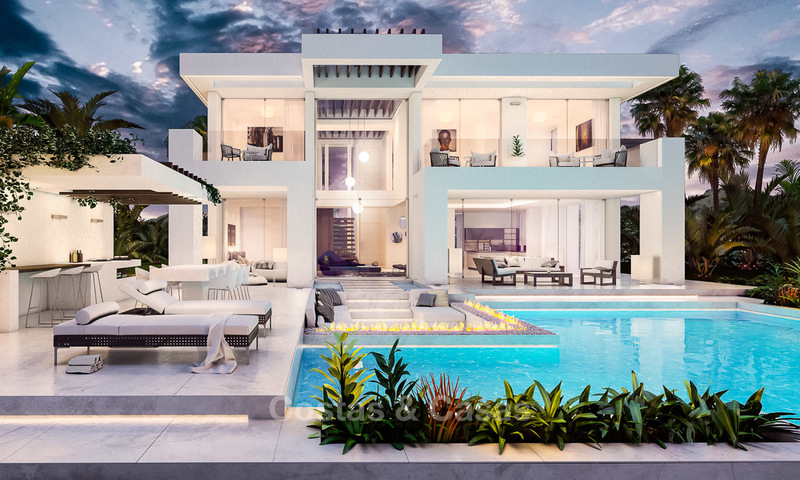 Luxury designer villa with contemporary style architecture. South facing with sea views. 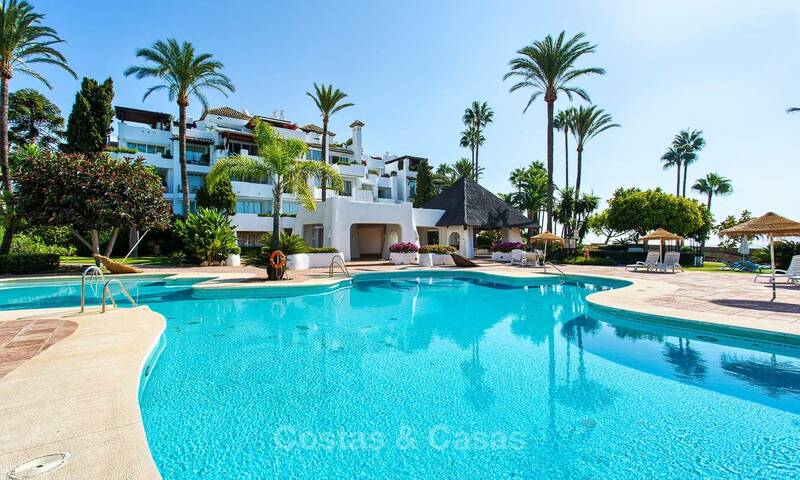 Beachfront Apartments for sale, New Golden Mile, Marbella - Estepona. 20% OFF for last apartments! 20% OFF for last apartments! These apartments are part of a well maintained en fully fenced residential estate featuring hotel facilities and boasting, among others, round-the-clock security, reception area, bar, restaurant, gardens, outdoor swimming pools, indoor pool, spa and fitness centre. The estate offers direct access to both the beach and the seaside promenade. Beach front, with direct private access to the beach. Turnkey project, highest quality of materials and finishes with maximal guarantees. Ultra-modern design style, opportunity to personalise interiors. 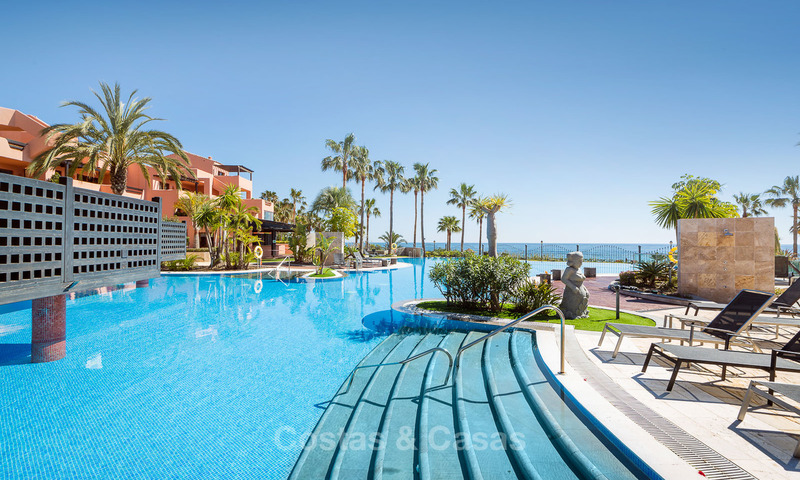 Sublime location: beach front, walking distance from amenities and Estepona centre, upscale complex. Spacious with ample terraces. Exquisitely decorated, with furnishings included in the price. Superb location. Near the best beaches of the entire Marbella region. Close to Nikki beach. All amenities within walking distance. Luxury complex. Built in Andalusian style. Excellent value for money! 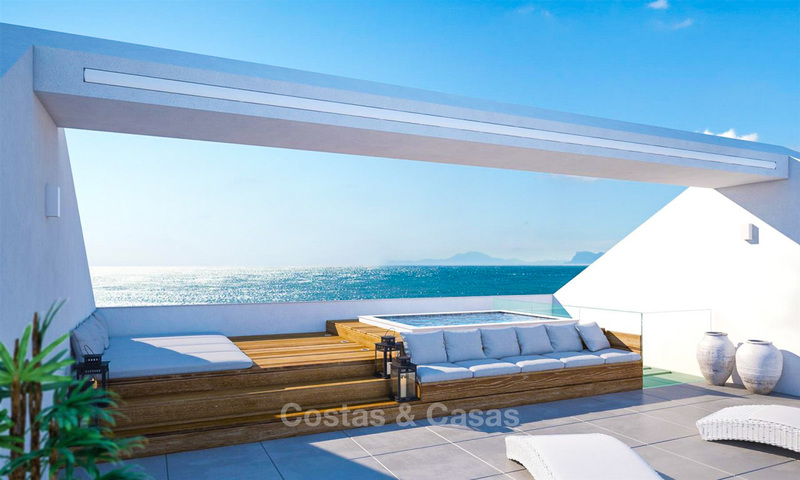 Reduced in price from 750.000€! Spectacular sea views. Walking distance to the beach, amenities and shopping mall. Unique boutique project, gated and secured complex. Contemporary style architecture, with spacious terraces. Great communal services and amenities. 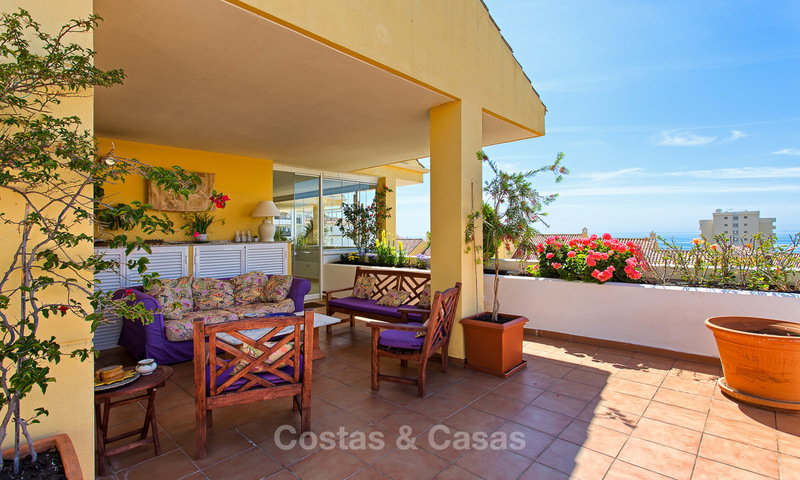 Centrally located above the beautiful port of Estepona. Within walking distance of all amenities, the beach and the marina. 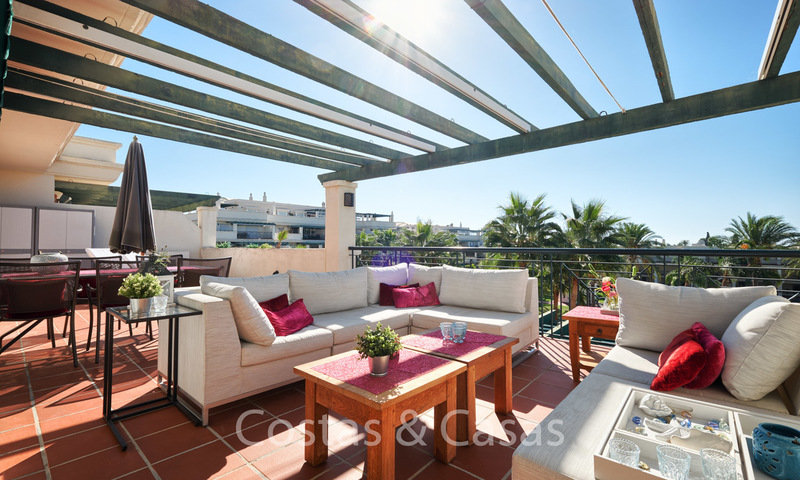 Spacious penthouse apartment in excellent condition. Plenty of terraces. Panoramic sea views. Walking distance to the beach. 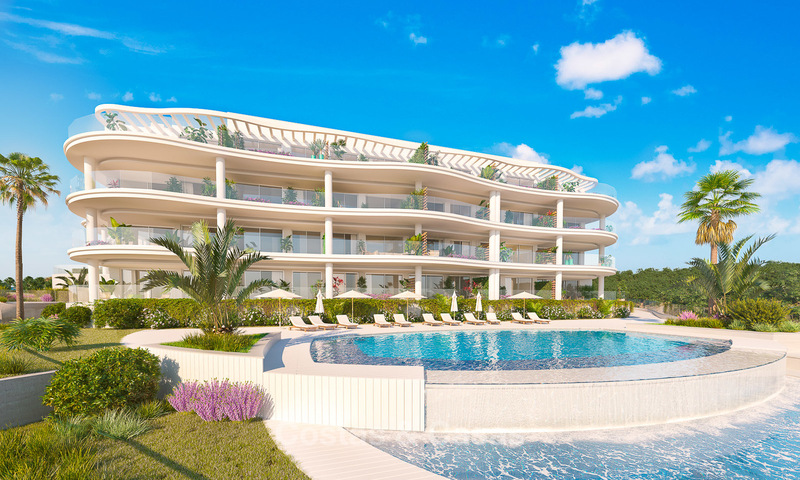 Exclusive complex with 2 community infinity pools, gym, spa and business centre. Contemporary style with top quality finishes and materials. Great location: beach side San Pedro, i.e. walking distance to the beach and plenty of amenities. In a prestigious, gated community. Seductive and captivating contemporary design. 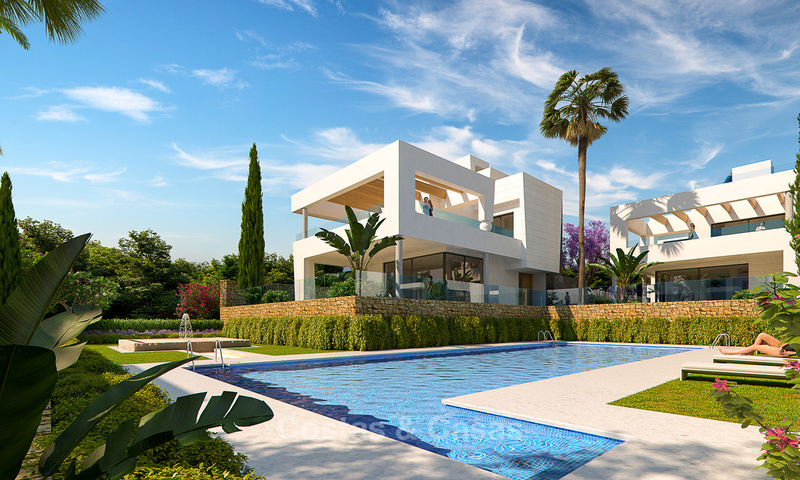 New project of just 10 luxurious, contemporary style villas. All you need is contact us! Be the first to receive the best opportunities and new properties for sale.